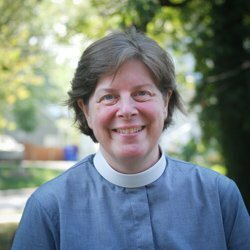 Lael Sorensen is an Episcopal priest and began as Rector of St. Peter’s Episcopal Church in Rockland, Maine, in 2015. 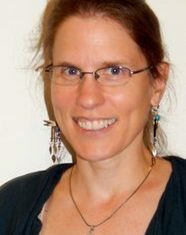 Prior to St. Peter’s, Lael served as Assistant Rector at Grace Church, Silver Spring, Maryland, and as chaplain at Christiana and Wilmington Hospitals in Delaware. A native Californian, Lael was raised in New Jersey and attended schools in Massachusetts and Michigan but underwent her most important spiritual formation in Maine, where she was sponsored for ordination. She holds a Master of Divinity from Yale Divinity School and Diploma in Anglican Studies from The Berkeley Divinity School at Yale. She is especially interested in practical theology for daily living, Ignatian spirituality, liturgy and music, and has a lifelong commitment to social justice. Her sermons and other reflections can be found on her blog: For the Fullness of Joy. 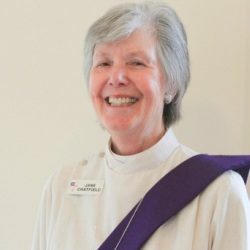 Jane Chatfield is a vocational Deacon, serving at St. Peter’s. 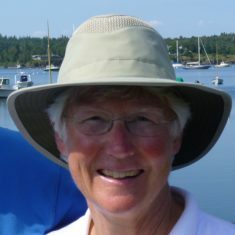 She grew up in the Boston area and has lived in New Hampshire, Illinois, New York City, Connecticut, Idaho, Alberta (Canada), New York, and now Maine. She grew up a Unitarian and became an Episcopalian through singing sacred music in choirs and marrying an Episcopalian. While raising her children, she had a garden design business. She was sponsored by St. Peter’s and ordained to the Diaconate in June 2013. Within the congregation, she serves on the altar, reads the gospel, facilitates Bible Study, and makes pastoral calls. In the greater community, she serves as a Spiritual Care Volunteer at Pen Bay Medical Center. Her hobbies are tennis, skiing, hiking, gardening, and cooking. Corey was ordained in 2013 and previously served at St. Luke’s in Wilton, ME. She is a clinical social worker and works as a therapist at Islands Community Medical Services on Vinalhaven 3 days a week and has a private practice at Maine Coastal Counseling here in Rockland. Corey is active in the diocese; she serves on diocesan council, the board of deacons and is on the diocesan Living Local committee. 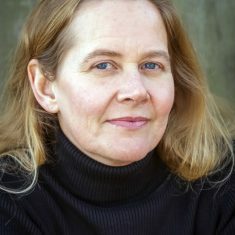 As Music Director, Barbara Jean O’Brien is the organist, choir director, and coordinator of outreach musical activities with the community, which currently includes special services (such as an All-Souls Community Evensong, Christmas Lessons and Carols, and other choral community gatherings. Barbara Jean holds masters degrees in Music and Liberal Studies. She works in Maine and New Hampshire as a piano teacher, accompanist, church musician, vocalist, chamber musician, and music-thanatologist. 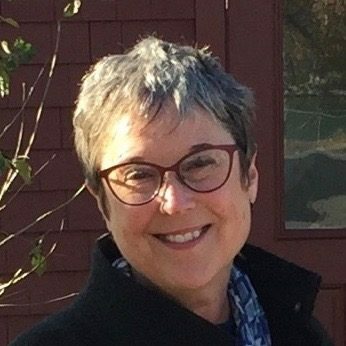 Her therapeutic work was recently highlighted in the Bangor Daily News. Marty has been a member of St. Peter’s since 1996. She has volunteered in numerous areas of ministry and leadership, with a focus on pastoral care and the administration of outreach activities. She is committed to welcoming people to St. Peter’s and joining them in seeking a spiritual relationship where God’s mission is manifest in the parish and the community. Marty was born and raised in Central Illinois and attended an Episcopal Church in Peoria. She attended nursing school in Peoria and received her BSN at the University of Illinois in Chicago. Her nursing career has been primarily in public health, home care and hospice. Before retiring she was the executive director of the local, three-county home health and hospice organization. Kate Gabriel-Jones has served as an Administrative Assistant for St. Peter’s Episcopal Church of Rockland since June, 2010.